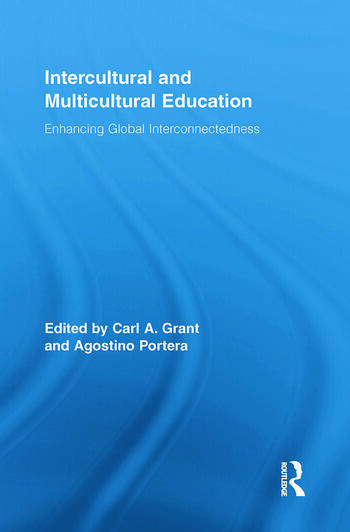 By addressing intercultural and multicultural education in a global context, this volume brings together the dynamic discussions and lively debate of intercultural and multicultural education taking place across the world. Not content with discussion of theory or practice at the expense of the other, this collection of essays embodies dialogical praxis by weaving together a variety of epistemologies, ideologies, historical circumstances, pedagogies, policy approaches, curricula, and personal narratives. Contributors take readers to the countries, schools, and nongovernmental agencies where intercultural education and multicultural education, either collectively or singularly, are active (often central) concepts or practices in the daily educational undertaking and discourse of society. Readers are also informed about how intercultural education and/or multicultural education within a country came to be and will learn about the debates over intercultural education and/or multicultural education at both the government and local level. Preface Carl A. Grant and Agostino Portera Acknowledgments Introduction 1. A Global Invitation: Toward the Expansion of Dialogue, Reflection, and Creative Engagement on Intercultural and Multicultural Education Carl A. Grant and Stefan Brueck 2. Intercultural and Multicultural Education: Epistemological and Semantic Aspects Agostino Portera Intercultural Education 3. The Intercultural Perspective and its Development through Cooperation with the Council of Europe Micheline Rey-von Allmen 4. Comments on Intercultural Education in German Guidelines and Curricula Cristina Allemann-Ghionda 5. Intercultural Education in Post-Communist Countries Krystyna M. Bleszynska 6. Cross-Cultural Education in Greece: History and Prospects Soula Mitakidou 7. Intercultural Education: The Theory Deficit and the World Crisis David Coulby 8. Intercultural Education in Japan: Foreign Children and Their Education Maki Shibuya 9. Becoming American: Intercultural Education and European Immigrants Cherry A. McGee Banks 10. Philosophical and Historical Foundations of Intercultural Education in Mexico Fernanda Pineda and Hilary Landorf Multicultural Education 11. The Development of Multicultural Education in Taiwan: Overview and Reflection Meihui Liu and Tzu-Bin Lin 12. Ethnicity and the State of Multiculturalism in the Malaysian Education System Hazri Jamil and Hairul Nizam Ismail 13. Multicultural Education in a Color-blind Society Carl E. James 14. Multiculturalism in South Africa: In the Shadow of the Rainbow Dennis Francis and Crispin Hemson 15. Cultural Transformation of Educational Discourse in China: Perspectives of Multiculturalism/Interculturalism Zongjie Wu and Chunyan Han 16. The Politics of Inclusion and the Search for the "Other": The International Education Policies and the Politics of "Difference" in Pakistan Ayesha Khurshid Intercultural and Multicultural Education 17. Multiculturalism in the Nordic Countries Johanna Lasonen 18. Multicultural and Intercultural Education in Spain Teresa Aguado and Beatriz Malik 19. Citizenship and Intercultural Education in an International and Comparative Context Jagdish S. Gundara 20. Moving from Multicultural to Intercultural Education in Australian Higher Education Valerie A. Clifford 21. Interculturalism, Multiculturalism, and Diversity as Social and Educational Policies in Chile, 1990-2008 Carmen Montecinos and Guillermo Williamson Contributors. Index. Carl A. Grant is Hoefs-Bascom Professor of Education at the University of Wisconsin-Madison. Agostino Portera is Profesor of Education Science at the University of Verona.